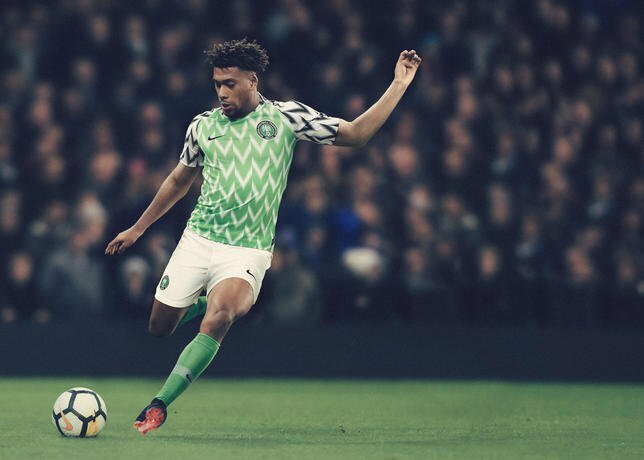 Nigeria announced on Thursday that the national team's new 2018 kit line had hit a record three million pre-orders, far outstripping anything that preceded it. While this was the first time such official sales figures have been announced, it's clearly a number that leaves everything else in its wake. Such high demand for a Nigeria kit is unprecedented, but NFF Vice President Shehu Dikko explained that they the federation were informed at a meeting with Nike on Thursday that the novel, throwback design was behind the broad appeal. "They told us Nigeria is their best selling kit due to the uniqueness," Dikko told KweséESPN, "so it appeals to everyone both from a sporting and fashion point of view." The VP was also quick to end any scepticism about the validity of the figures. "The three million are not actual sales but orders placed by all of their stores across the world," Dikko added. "These orders will not be delivered at once, but probably over the lifespan of the jerseys, which have a cycle of about two years. "They cannot produce without orders, and some of these orders may not be delivered until next year," he continued, "but the stores have placed them now to ensure they have consistent supply and don't run out of stock." It's been nearly three months since the kit reveal, and frustration has grown among Nigerians who have been unable to purchase the attire, especially with less than a month to the World Cup.